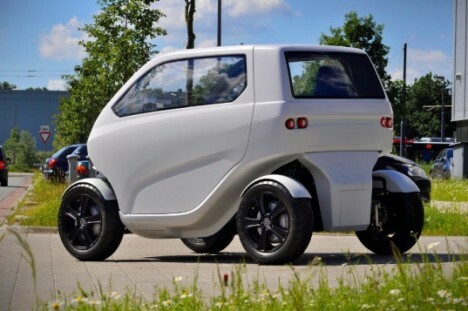 This smart little car does it all, compacting to smaller sizes on demand, sliding horizontally into parking spots (no more need to try and parallel) and linking up to form fleets of semi-automated vehicles. 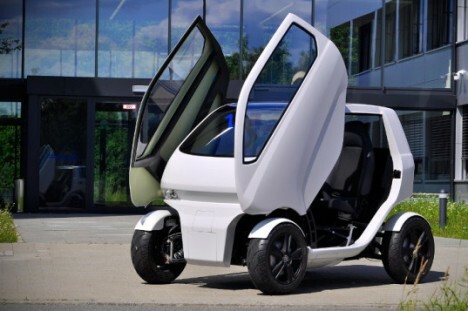 The EO Smart Connecting Car 2 (or: EOscc2) grew out a project by the German Research Center for Artificial Intelligence, and has more than a few tricks behind its up-swinging doors. 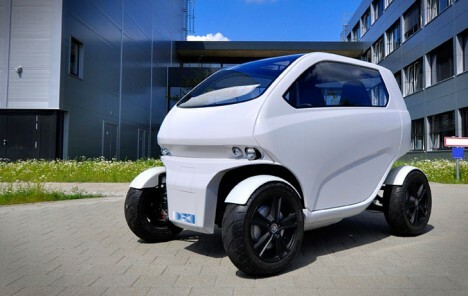 The biggest feat is the app that allows the car to be connected to other vehicles on the road, forming an invisible chain led by a single automobile. Having an individual master controller frees up other drivers to become passengers, sitting back and relaxing while someone else steers the modular fleet. See more in Cars & Trucks or under Transportation. November, 2016.